Columbia University’s Graduate Program in Nurse Anesthesia is expanding their global health footprint to increase awareness and understanding regarding the complexity of issues that define global health. The global mission experience affords students the opportunity to apply their anesthetic knowledge to under-served populations across the world. Columbia University’s program has a long history of encouraging students to serve on mission trips alongside CRNA faculty and clinical affiliates who supervise students during this experience. 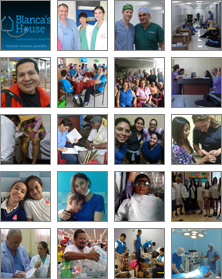 By fostering a partnership with Blanca’s House, faculty are able to strengthen nursing education and clinical care experiences that advance the practice of nursing within our borders and throughout the world.